ICL’s hydrometers are produced in the United States by outstanding manufacturers known for quality craftsmanship and accuracy of reading. Manufactured strictly in accordance with all applicable ASTM specifications, these ASTM hydrometers have become the industry standard for close, accurate readings. All instruments in this series are available with our NIST Traceable certification, and as such serve as primary reference standards in many governmental and private laboratories. This grouping of hydrometers are preferred by most users in the petroleum industry as laboratory standards. A separate thermometer, ASTM 12F or 12C, should be used to precisely determine the temperature of the sample to permit correction of observed values to 60F (as specified in ASTM Method D1298). 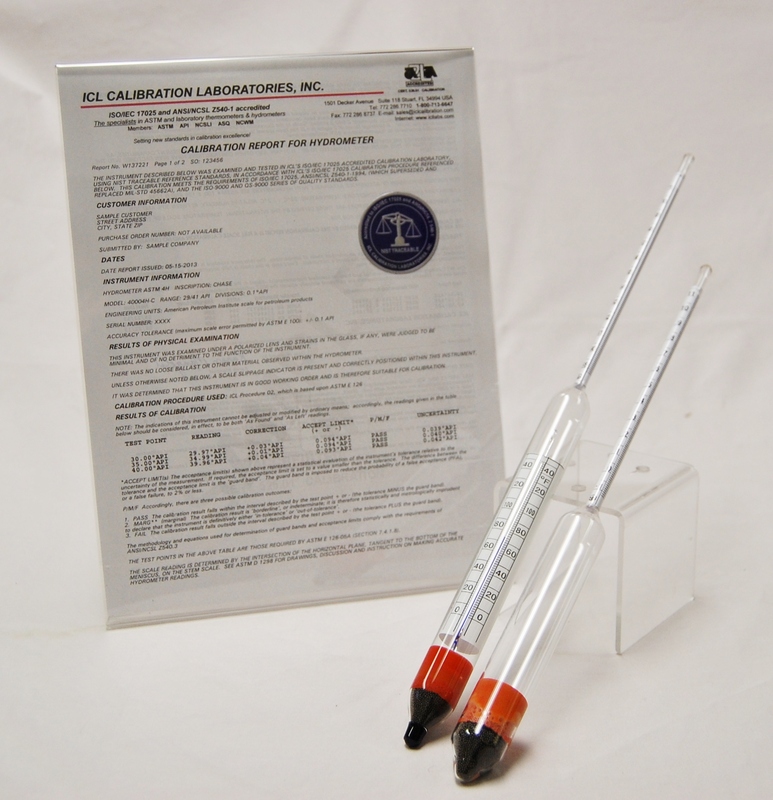 These hydrometers are popular in many applications due to their small size, thus allowing a reading to be obtained from a small amount of product sample (approximately 6 ounces of liquid).